The frame is the only piece of the structure left standing. It served as an information center where guests would come in, congregate and watch videos before taking tours through the ranch. It also served as their gift shop. 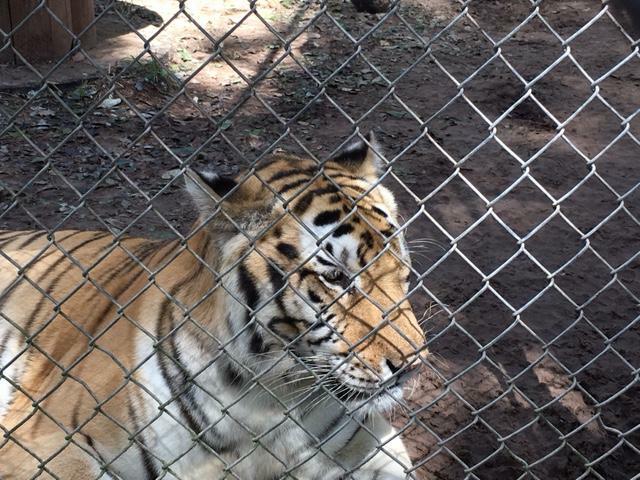 One of the tigers at Catty Shack Ranch enjoying the day. Most of the animals enjoyed the change of weather the hurricane brought. Adoption coordinator Kurt Lessenthien said some of the tigers were even trying to splash him as he walked around the ranch. But despite the playfulness of the animals, the tent’s condition reminded Lessenthien of the seriousness of the situation. Executive Director Curt LoGiudice witnessed the destruction of the welcome tent. “The winds were so tough and moving it from side to side that the stakes would come right out of the ground of course because of the wetness already,” he said. But Lessenthien said Catty Shack Ranch won’t give up on its mission. In fact, the nonprofit wants to turn the bad luck around by building a new, more permanent welcome center to replace the tent. A Go Fund Me page has been set up to try to raise $15,000 toward that goal. So far they have raised about $5,500. Tigers are coming back to the Jacksonville Zoo and Gardens. 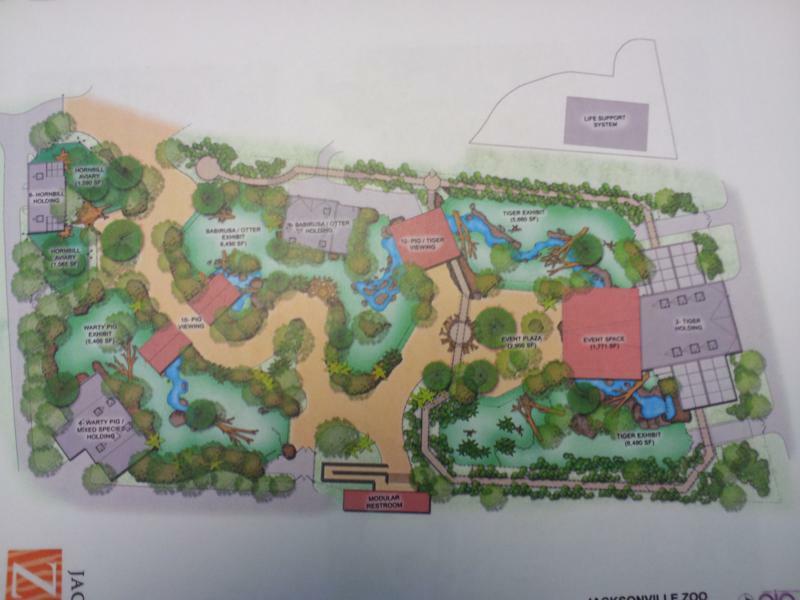 Zoo officials broke ground on the new $9.5 million Tiger Exhibit today thanks in part to a $3-million donation from former Jaguars owners Wayne and Dolores Barr Weaver. The exhibit will include at least six tigers including a pair of Sumatran tigers that will be used for breeding. Other Asian animals in the exhibit will include critically endangered Viscayna warty and babirusa pigs, Asian small-clawed otters and wrinkled and wreathed hornbills. 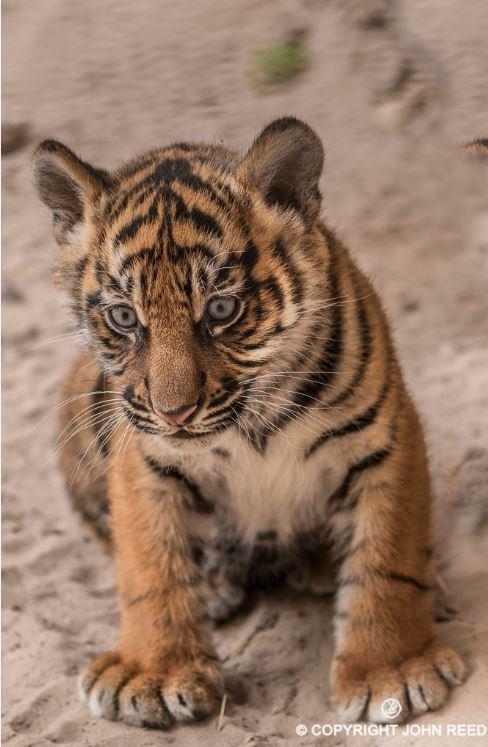 The Jacksonville Zoo and Gardens is inviting everyone to come out Saturday and welcome its first tiger cub in 35 years.